Your installers will make Mr. Miagi proud. 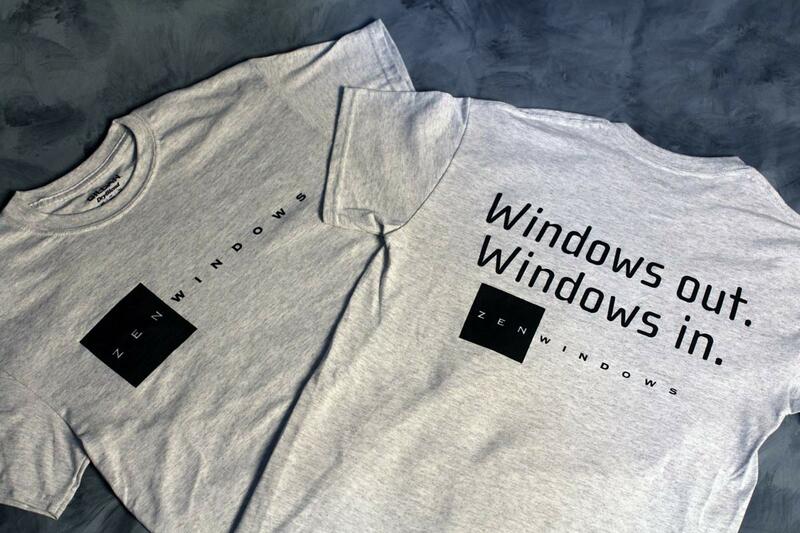 “Windows out, WIndows in” on the back- with the Zen Windows logo front and back. 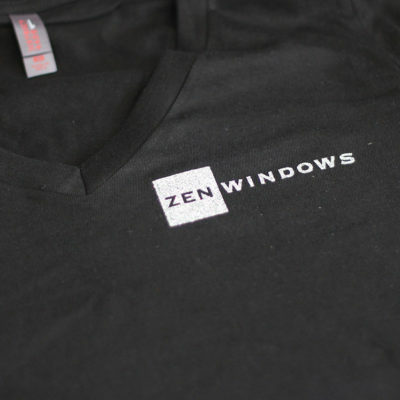 Standard order is a heavy duty Gray t, with black ink. 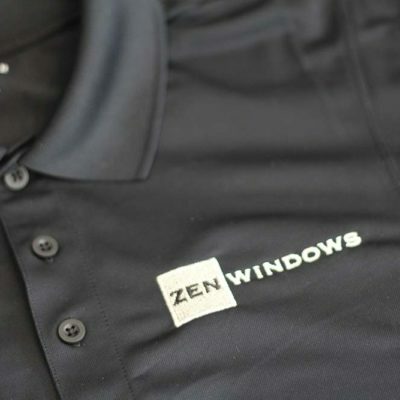 If your installers prefer white, or black T’s we can do those as well. 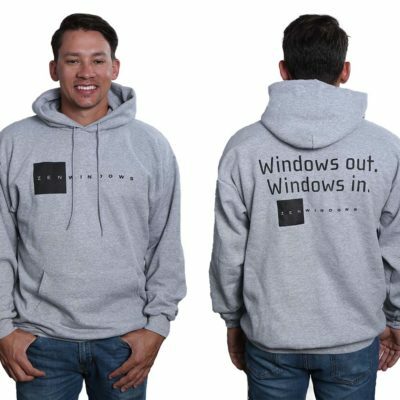 Minimum order of 10 shirts if gray with black. 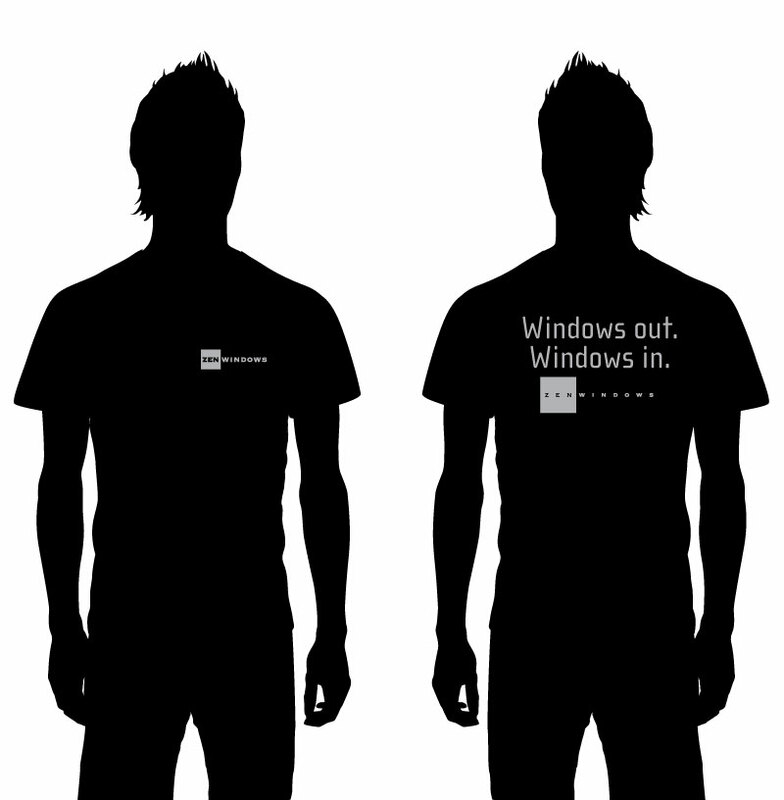 White or black t-s- 20 shirt minimum.